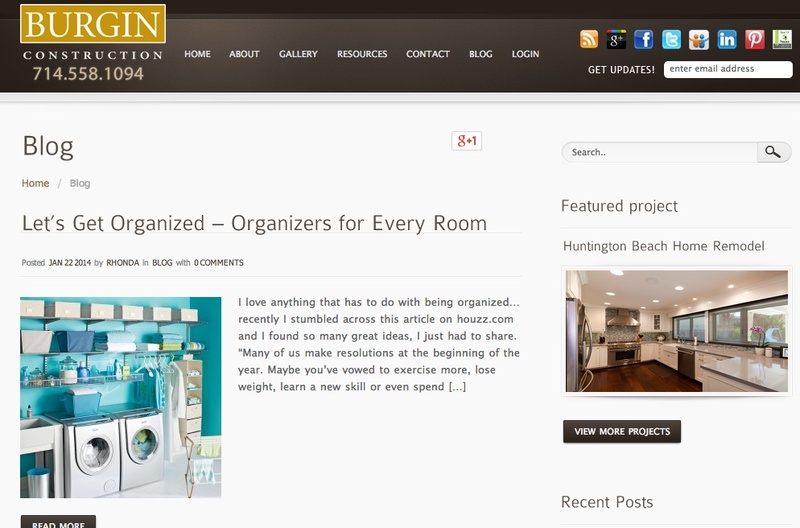 California-based renovation contractor Burgin Construction Inc. has been a social media pioneer. The Orange County contractor has scored highly in several Construction Marketing Ideas blog competitions, winning first place in 2012. This recognition is well-deserved. The Burgin Construction blog combines all the essentials for a truly effective blog: Original, relevant (to market) content, regular and reliable updating, and a simple, easy-to-navigate design. Combine these qualities with the company’s loyal (and social media savvy) client and supplier base, and you have the formula for popular vote success. Before you wrinkle your nose at this idea, remember: the dish water will not touch your food! Be a dinner party magician by preparing a seafood feast in the same device that will clean it up later. Salmon is an especially foolproof option because it’s a “forgiving” fish (i.e. hard to really mess up). Just make sure you wrap the salmon securely in foil and use the dishwasher’s “normal” cycle. The water’s high temperature will poach the fish. Tip: Keep your fish on the top rack for best results. For detailed instructions, visit Wine X Magazine. Black Counters: Black kitchen counters will be all the rage next year, with homeowners looking to add sophistication to their kitchen. Popular materials to achieve this look will include black granite and quartz. Zillow Digs Board of Designers Member, Adam Hunter of Adam Hunter Inc. in West Hollywood, Calif., likes “black granite that is honed or has a leather finish” to provide a tasteful, yet dramatic look. 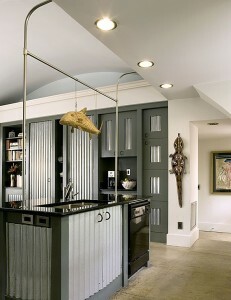 Expect to see black countered-kitchens paired with a lighter counter such as marble or light gray for contrast. The blog, of course, makes excellent use of graphics and photographs. Nominations for the 2014 Best Construction Blog competition close on January 31. Then the voting commences for two months. You can nominate your own blog or one you like here.